On January 14-15 this year, the International Seminar on Tourism and Media in Central America took place in Guatemala City. It was organized by the Central American Integration System (SICA), and supported by United Nations World Tourism Organization, INGUAT and Fondo España. During the first day, tourism was stated to imply large territorial advantages -beyond leisure time- such as poverty eradication, improving the quality of life among local communities, and contribution to environmental preservation. Travelers should be aware of the big impact caused by our movements to different destinations. 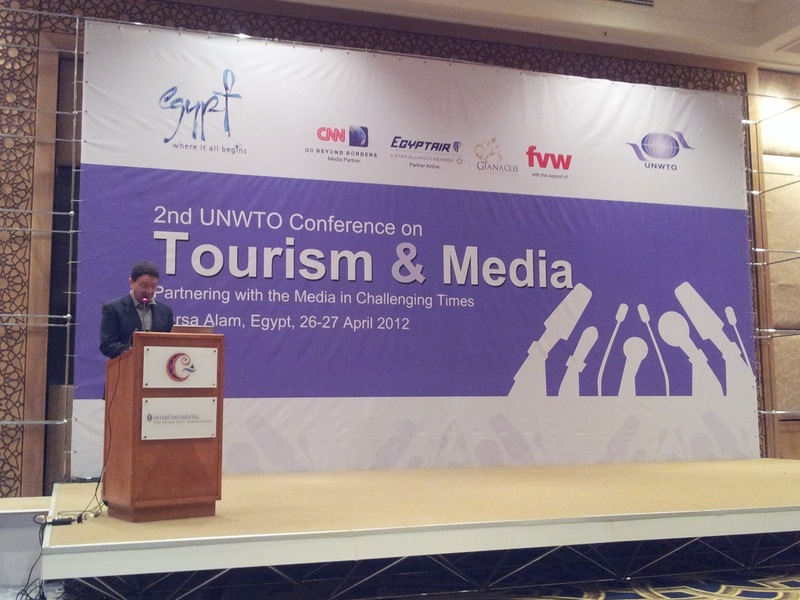 Tourism, as a business generator, grows faster than global economy – said Marcelo Risi, Principal Media Officer of UNWTO. The tourism sector creates 1 out of every 12 jobs worldwide. In Central America, tourism directly generates 364,000 jobs, and indirectly, an additional 20% more -said Mercedes Meléndez, Secretary of the Central American Integration System. Tourism is also relevant for many socio-economic aspects, such as the promotion and consumption of local products, the creation and improvement of local infrastructure, promoting local associations, attracting foreign investment, security protocols, and obtaining documents and visas. International media turns tourism into current news as it directly affects the global economy and people’s lives. We are particularly touched by individual human stories, with close and personal cases being the ones most likely to shake us, surprise us, excite us… give us goose bumps. This idea sparked a debate about how media balances the importance of increasing their audience with generating transparent information free of sales objectives. During the second part of the seminar we focused on crisis management communication. This is a crucial issue in Central America since sensationalist news tends to overshadow the positive stories emerging that highlight the region as an attractive tourism destination. Media cannot skip sad or unfavorable news, but there is a need of establishing communication protocols in case a crisis situation occurs to deal with its consequences. These procedures must be part of each destination’s communication strategy. Crisis evolution depends on how changes are perceived, and how we react to adversity. Germán Porras, ex general secretary of Tourism Spain, led an analysis of the best practices for crisis situations. We went through several cases in which inappropriate information management caused a loss of trust among travelers, negatively affecting tourism in well known destinations -such as Egypt– . Crisis communication management starts before a crisis occurs. It begins by setting preventive measures aimed at its relief when a crisis arises. When that happens, a flexible response protocol must be established -mainly at an institutional level. After the crisis takes place, we need a set of type responses, always bearing in mind that messages should be carefully handled showing empathy for the audience, especially for people affected. Likewise, reputation and leadership will be maintained assuming responsibilities and following the processes established, communicating the available information with transparency and using a single voice. Travelers have no reason to be loyal to tourist destinations. On the other hand, travelers are very sensitive to subjective risk perception. That is the reason why destinations should keep travelers well informed to minimize their feeling of vulnerability due to factors like language difficulties, lack of environmental awareness, emergency procedures, and so on. Tourism is a future bet, and is a product of trust. Therefore, the best way to communicate the information about destinations must be shaped to attract visitors without scaring them. Ideally, tourism boards should maintain a close and fluent relationship with media, and journalists should be committed to reporting with transparency. 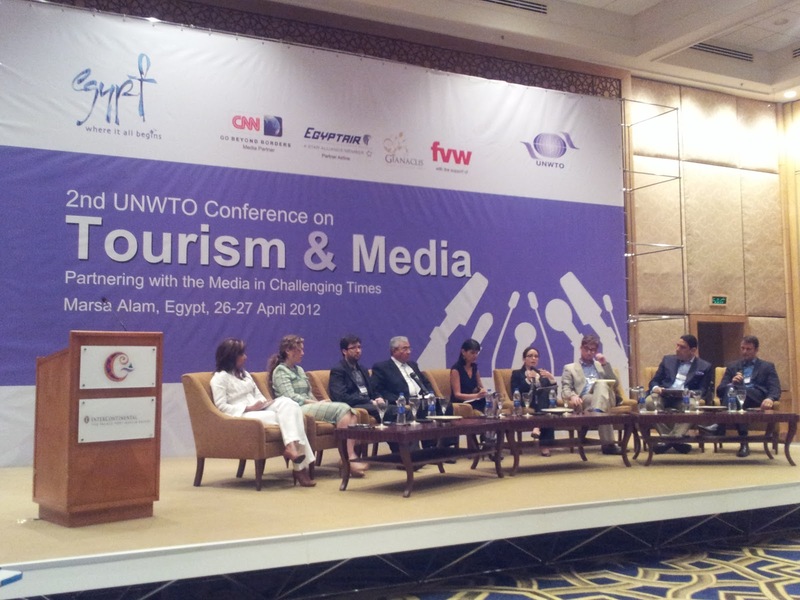 Tourism authorities and representatives of the international media gathered in Marsa Alam last week for the 2nd UNWTO International Conference on Tourism and the Media, organized by Egypt’s Ministry of Tourism and the United Nations World Tourism Organization. During the first session participants were able to attend a round-table seminar that discussed the media responsibility beyond communicating political, financial and social changes in these particularly difficult times. The conference was broadcast live viastreaming, as well as featuring in social media under the tag #TourismMedia. The way information is presented by the media can have a big impact on people’s perspectives of nations such as Egypt – whose case in not dissimilar to Spain’s in some aspects. For the last year Egypt has been firmly put on the map thanks to revolution which led to the removal of President Hosni Mubarak, and the subsequent tensions that have continued to exist. The reporting of these events caused a strong impact on tourism, and therefore, affected the national GDP of the country, as potential visitors were put off by the perceived unsafety. When prospective travelers believe a country to be unsafe due to news reports they have read, watched, or listened to, they stop visiting. Sometimes perceptions and reality regarding safety and security are not accurate. For example; palm trees are perceived to be harmless, while sharks are feared by many and believed to be dangerous. In reality, falling coconuts cause an average of 150 human deaths every year, 30 times the number of deaths caused by shark attacks. In his opening speech at the conference, Mounir Fakhry Abdel-Nour, Egypt’s tourism minister, said: “What drives tourism is the perception the traveler has of a destination. 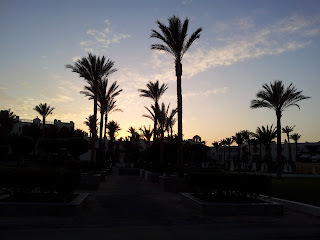 Fair reporting of both the negative and the positive will play a vital role in the recovery of Egyptian tourism.” Sources need to be honest, balancing both good and bad facts, instead of highlighting just one side. Journalists should be given access to complete information, since negative aspects won’t necessarily overshadow the stories, but will make them more credible. Participants at the conference looked at how the media could support tourism in these difficult times and urged the press to focus on how the tourism industry contributes to development. Key facts to consider for example are that 1 in every 12 jobs in the world is connected to tourism, and one billion tourists will travel abroad in 2012. Some of the key points to emerge from the conference were the need for tourism authorities and the media to communicate effectively in tough times. This includes graphical storytelling, planning the appropriate social media strategies, and establishing crisis communication protocols. In order for international media companies to give their audience a balanced view of events, they should reflect the local population’s stories and testimonies, and provide greater coverage of personal cases and day-to-day close ups. Tourism – with special focus on sustainability and responsibility – is now one of the most promising and viable options for global and local development, the participants concluded. The media is responsible for raising awareness of the importance of this industry as a vital service sector, contributing to the economy and employment in developed and developing countries. As an outcome, tourism authorities and the global media were encouraged to learn more about one another, and to work together more closely in the future. I came across this particular grey guy, and… he has a point here! What facebook groups do you use?